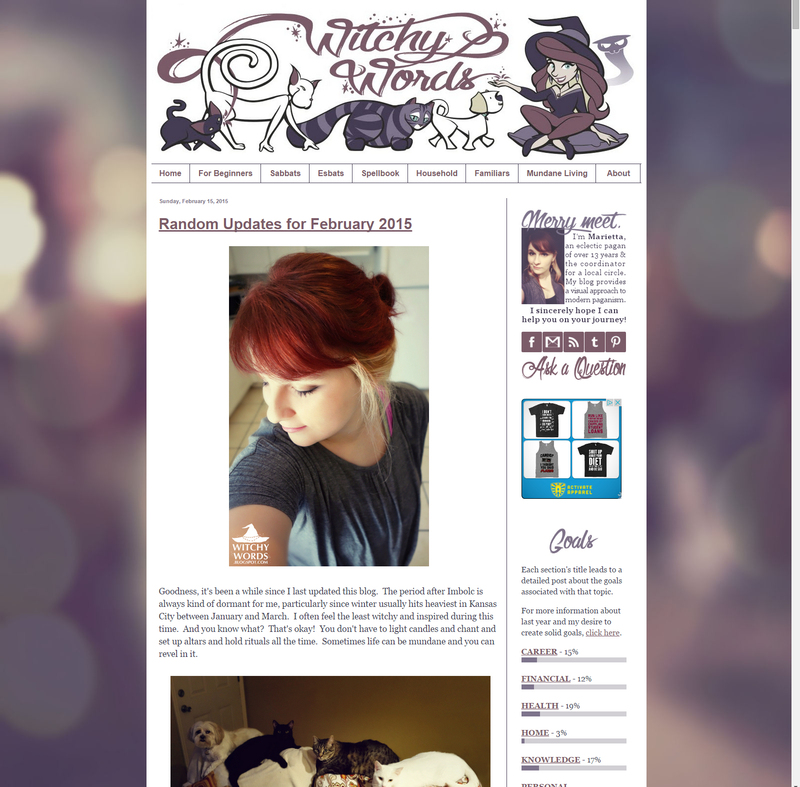 Witchy Words: New Layout 2015! In case you're subscribed and rarely see the site or are on mobile where things just went from black to white with a new header, I recently made a full commitment to changing the layout for Witchy Words! In addition to a newer, pastel palette and larger text for easier reading, I've also created sections for better access to topics I often discuss and made it much simpler to ask questions! There's even a new About section so you can learn a bit more about me and the site. Nothing too detailed yet. Over the next three months, I'll be fine-tuning the sections, so expect some more changes there. But overall, welcome to the new look of the site! Thank you so much for all of your support, readers! I couldn't do it without you! Love the new layout Marietta. I adore the new layout. I think it looks great and the new header really shows your artistic talent. Wonderful new design! I can't get over how talented you are! Aw, I'm blushing! Thank you so much! Love your new layout and your blog! :) Happy Friday! Thank you so much! Happy Sunday, lol!